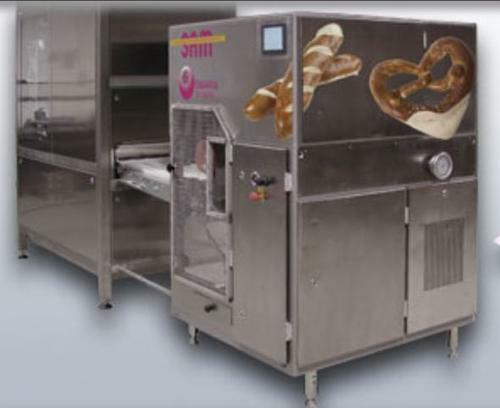 BACKTECH SAM GMBH, brutărie - Maşini şi echipament, Dough preparation systems, Baking equipment for bakeries, pe EUROPAGES. Twenty years of success in the business: What started as a mere service provider in 1993, has now developed into an innovative manufacturer of individual technology for bakeries. Our business philosophy focuses on meeting customers' specific requirements with our individual products. Armed with our quality products, you will be able to produce an outstanding product quality that is particularly economical in terms of dough and hygienic. The principles of maximum quality and precision are reflected in wonderful, artisan baked goods. This is all due to the countless years of experience and technical innovation that have gone into our machines and equipment. Our product range: We are the specialists in producing small baked goods such as lye dough products, bread rolls, bread, pretzels and pizza. Customer requirements for dough processing and transport solutions are covered based on in-house developments or partner products.